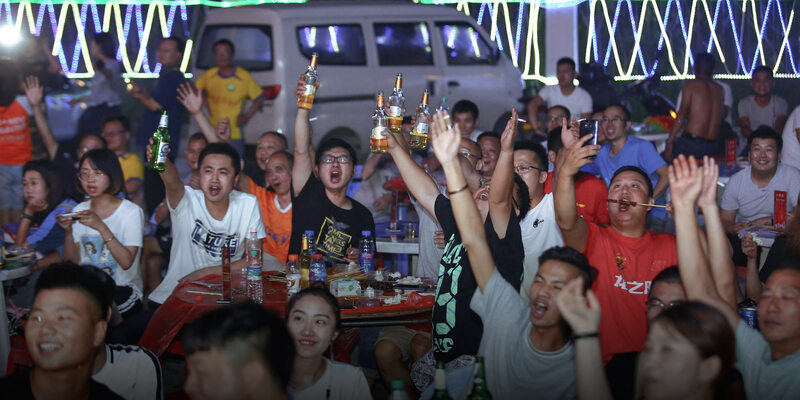 Chinese soccer fans aren’t letting their own team’s failures stop them from enjoying the FIFA World Cup. A week since the competition kicked off in Moscow, Chinese fans have swooned over Portuguese heartthrob Cristiano Ronaldo’s relentless goal-scoring, discussed what China could learn from tiny but mighty Iceland, and pondered over what brand of foundation the South Korean goalkeeper uses. Even the authorities have attempted some soccer humor: Following Germany’s loss to Mexico on Sunday, a police station in the eastern Chinese city of Nanjing posted on microblog site Weibo asking fans of Germany to refrain from killing themselves, as the team still had two more games to play. I’m confident that China will do well in Asia — and even the world — over the next few decades. The earliest-known form of soccer was played in China in the third century B.C., but the men’s national team has had little luck in recent years: It only qualified for the FIFA World Cup once, in 2002, and is currently ranked 75th in the world, though China’s women have fared much better. 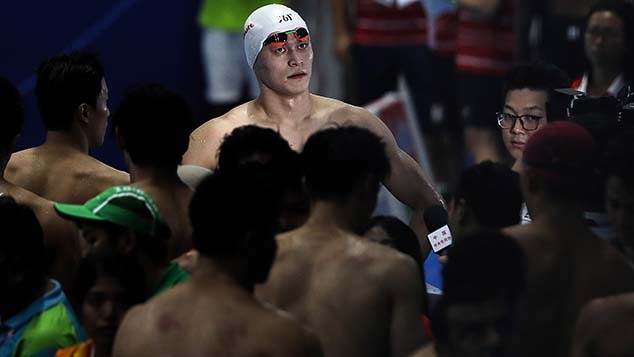 Nevertheless, the sport is immensely popular, and the quadrennial soccer tournament is expected to draw 1 billion Chinese viewers over the course of the monthlong event — a feat helped by China’s relatively small time difference with host nation Russia. Chinese President Xi Jinping has made no secret of his hopes to turn China into a soccer powerhouse, pouring money into pitches and training academies. In the meantime, Chinese teams have forked out millions of dollars to foreign players, and local soccer lovers closely follow overseas teams like the U.K.’s Manchester United. Despite the fact that there won’t be any Chinese flags flying at the tournament, the country is making its presence known. A landmark number of Chinese brands have signed up as sponsors and partners — including smartphone maker Vivo and dairy company Mengniu Dairy — filling the void left by Western brands that distanced themselves from scandal-embroiled FIFA, the governing body for international soccer. Around 100,000 Chinese fans are travelling to Russia to watch the games — although some have been duped into buying counterfeit tickets — and an additional 100,000 Chinese crawfish have been shipped to Moscow for the tournament in an attempt to highlight the national delicacy. Behind the scenes, Chinese factories are working round-the-clock to produce fan merchandise such as flags and trophy replicas. Sixth Tone caught up with six Chinese soccer fans to find out how they got into the sport. 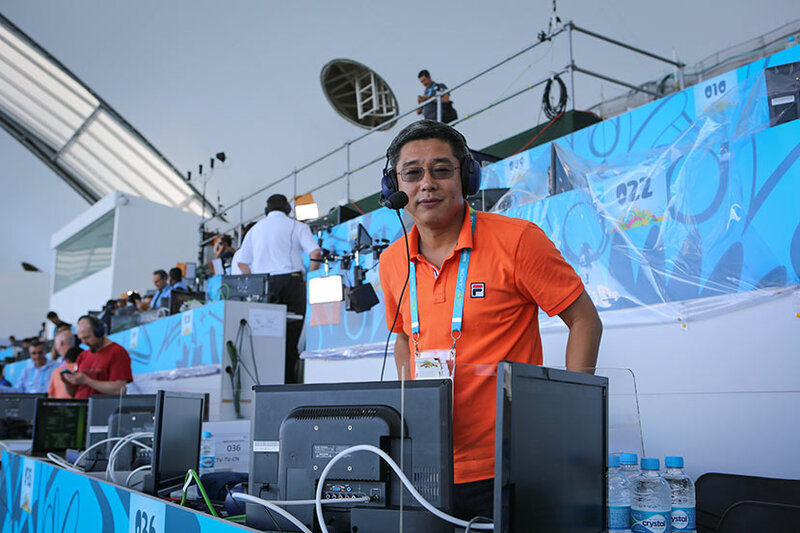 Veteran commentator Liu Jianhong’s World Cup memories stretch back to a time when China was only just opening up and soccer had just started being shown on TV. In the summer of 1982, the now-49-year-old recalls rushing home from morning soccer training to watch World Cup highlights. Years later, he would be on TV himself, presenting the 1998 FIFA World Cup . Fast-forward to today, and Liu is now an online media personality with 1.5 million Weibo followers and two decades of experience. This World Cup, he will host his own soccer talk show and commentate for games being streamed online. A recent clip of his talk show posted on his Weibo page shows him analyzing the German national team’s slack performance, jokingly drawing parallels between this and their coach’s growing paunch. Online streaming tends to cater to a younger audience, so Liu peppers his commentaries with online slang to stay relevant and keep viewers interested. It’s not just winning over young people that proves challenging — he finds the surnames of some players extremely difficult to pronounce. It’s no surprise, then, that he’s supporting England — he can recognize all of the players. But he laments that his allegiance is “very sad” given the country’s underwhelming World Cup track record. Fang’s love of Liverpool dates back to, well, love. Keen to impress a school crush who was a Liverpool fan, he began staying up late to watch the team’s games and soon caught the bug — even choosing “Gerrard” as his English name after the team’s former captain. But his obsession with soccer as a whole predates this: As an 8-year-old, his family members would wake him up to watch the 1998 FIFA World Cup games. Four years later, when China played in the World Cup for the first time, his passion took off, and he found himself spending entire weekends obsessively watching matches. 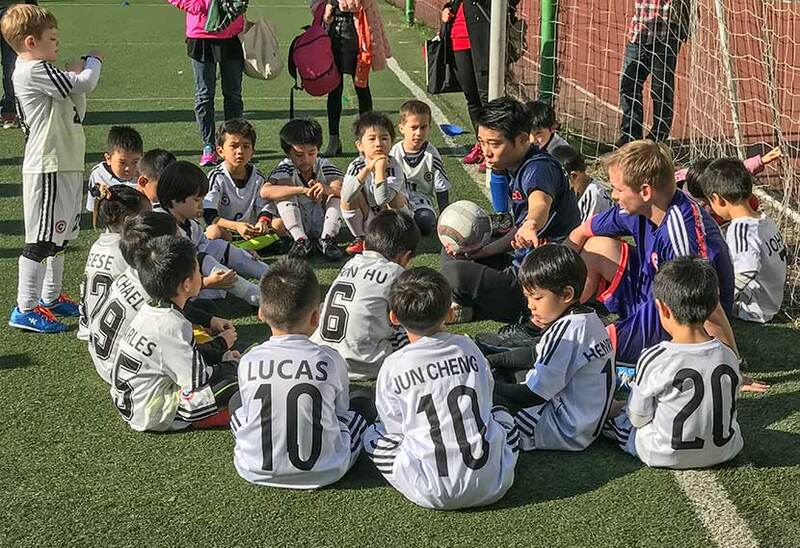 These days, the 28-year-old channels his passion into Coach G Academy, his own Shanghai-based soccer training school that coaches over 400 local kids a week. But he’s just as much a Liverpool fanboy as ever: The highlight of his trip to the U.K. in February was his visit to Anfield, the team’s home stadium. Soccer didn’t just lead Qu Wenshuo to her dream job — it’s also why she often finds packages of yogurt, noodles, and congee at her office. 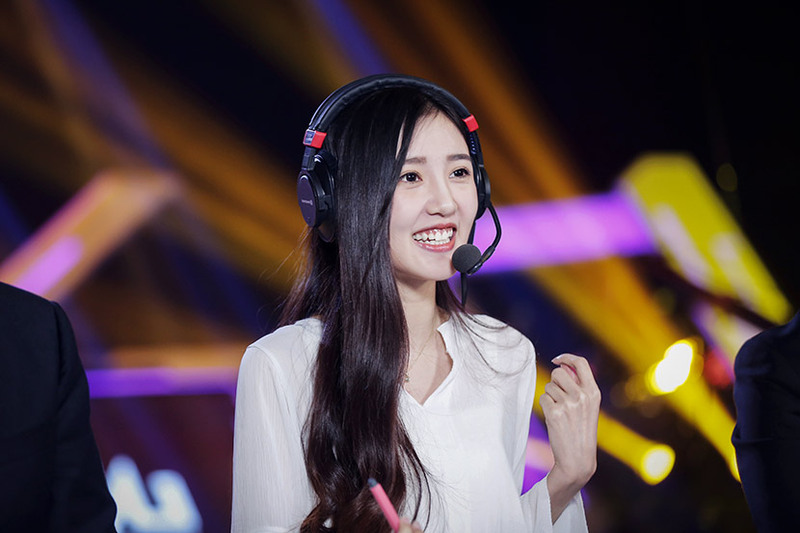 Qu — better known to fans by her online name, Yang Dingding — is a 25-year-old Beijing-based soccer presenter and commentator with over 350,000 Weibo fans. Her daily work sees her discussing soccer highlights, commentating livestreamed matches and soccer video games, and interviewing visiting soccer stars. Her efforts have earned her a devoted fan base, which sends her food and gifts like fluffy toys and even a massage chair. This World Cup, Qu is in Russia shooting for video sites Youku and Bilibili. She’s excited to actually be watching the games live: She’s spent most of her career watching matches on screens. Qu was first drawn to soccer in 2008 by Portuguese player Ronaldo’s chiseled good looks, but it was only in 2012, while studying broadcasting and hosting at university, that she had time to watch the games and develop a genuine appreciation for the sport. Seeing a shortage of women in soccer commentating, she began posting her own homemade highlights show on Weibo. Before she knew it, she was discovered by an online sports media company, where she still works to this day. In such a male-dominated sector, Qu often feels pressure to prove that she’s more than a “flower pot” — a Chinese expression meaning just a pretty face. “All the commentators in the world are male, so it seems everyone thinks soccer is a man’s sport,” Qu says. She wants people to know that she really can commentate as well as the boys — though she laughingly tells Sixth Tone that if she is just considered a pretty face, that isn’t so bad either. All she can do, she says, is work hard and hope to be recognized. It’s not easy to become a member of the elite subsection of “The Dragon’s Team,” the official fan club for China’s men’s national team. To join what’s been dubbed “The Battle Group,” Sun Zhidong had to pass the ultimate fan test: cheering and jumping for a full 90 minutes while at a live China game. A chant leader and an emcee watched closely from the front of the stands, ready to disqualify anyone whose enthusiasm waivered, Sun tells Sixth Tone. 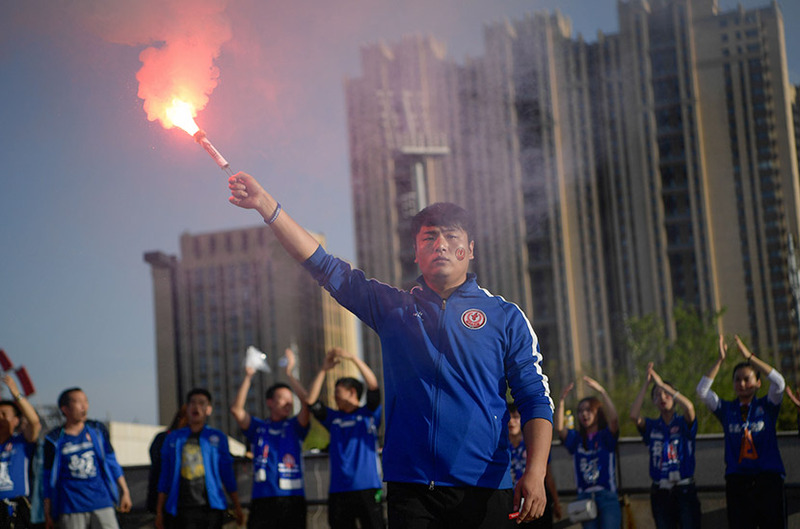 Besides watching the World Cup games, 29-year-old Sun will be spending the summer running the Helanshan fan club — the largest soccer fan organization in northwestern China’s Ningxia Hui Autonomous Region. Since 2016 he’s been part of the club, which is dedicated to supporting Yinchuan Helanshan F.C., the team in Ningxia’s capital city. Both the fan club and soccer team are only a few years old, so the logos, chants, and drum beats all had to be created from scratch. Prospective members are spared the grueling 90-minute test of the elite national fan club — they just have to own the club jersey and know the 10 chants by heart. 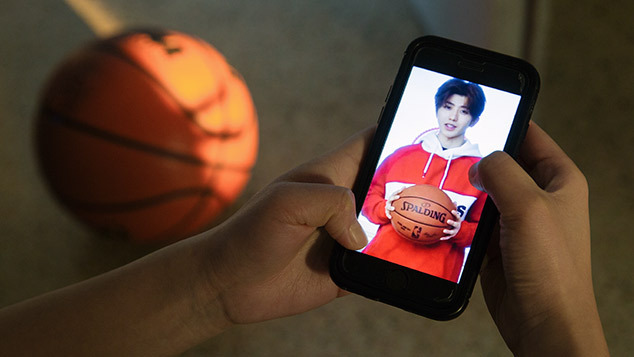 Sun first got into soccer while playing it in primary school, but the 2002 FIFA World Cup, hosted in nearby Korea and Japan, was when his enthusiasm really took off. Sun believes the standard of soccer in China to be subpar, but he hopes that one day China’s team will ascend to greatness. “Although China’s soccer team may abuse me 10,000 times, I’ll keep treating her as if we were on a first date,” he says, reciting a common maxim. Qian Danlu isn’t fixated on foreign teams or stars: She’s a dedicated fan of Shanghai Greenland Shenhua F.C. — one of the city’s two biggest soccer teams. 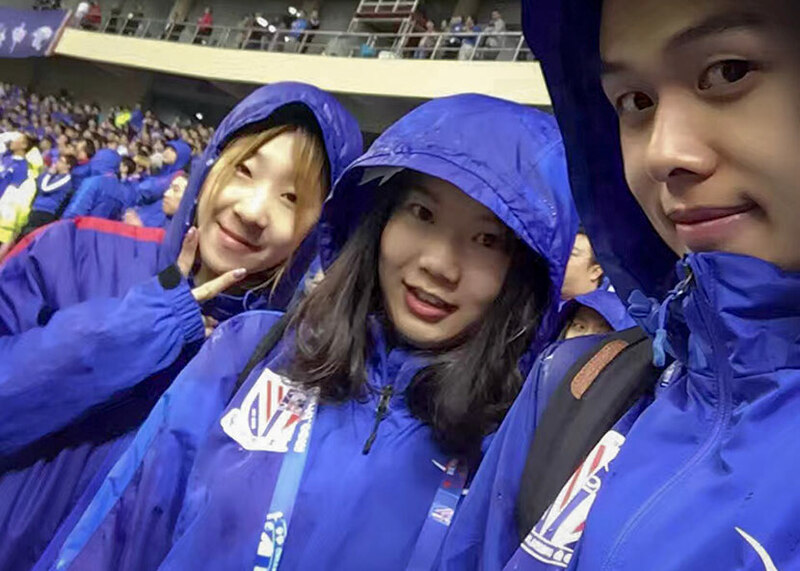 The 23-year-old stumbled upon her passion: In 2013, an acquaintance invited her to a Shenhua game. Surrounded by enthusiastic, roaring crowds, she felt at home and promptly joined the fan club. Qian is in the minority of female soccer fans, but she feels she’s been treated equally in the fan community and says that girls can certainly match boys when it comes to making noise. Instead, it’s the stadiums themselves that can dampen fan enthusiasm: Flags need to be approved by authorities, and conversations in the crowd are monitored, Qian claims. Once, her fan club snuck in a large banner wishing an injured player a quick recovery without gaining prior authorization, and the entire club was banned from bringing drums to the next few games as punishment. Sheng Peng loves watching World Cup games, but he’ll have to steer clear of bars for the next few weeks: The team he plays for, Beijing Renhe F.C., is currently training. Sheng’s team is in China’s top league, but it was a tough road getting there. As a child growing up in Xuzhou, in eastern China’s Jiangsu province, Sheng remembers training on soccer fields so barren and rocky that he would be covered in cuts after practice. 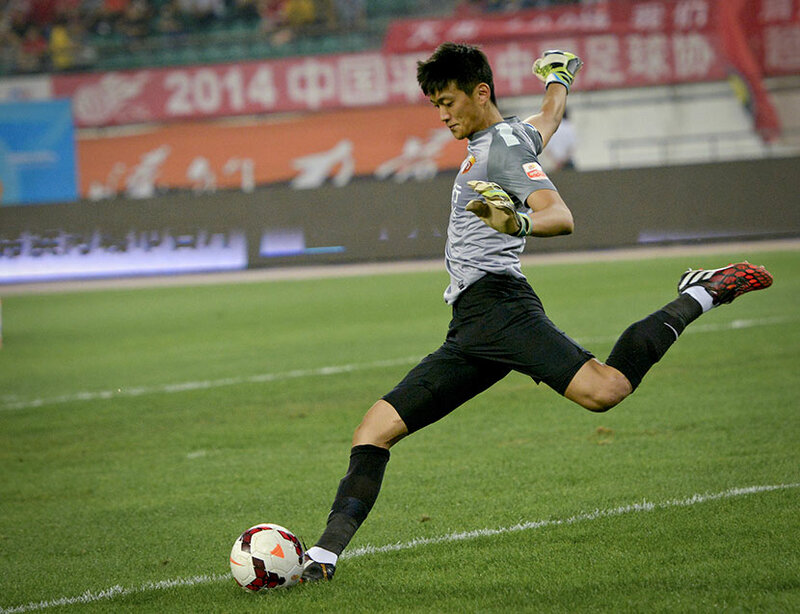 After graduating from a sports-focused middle school, then-teenage Sheng joined Renhe, as a trainee goalie. For financial and sponsorship reasons, the entire team has had to relocate to cities all over China — Shanghai, Xi’an, Guiyang, and finally Beijing, where it remains to this day. At 29, Sheng sometimes considers retiring. Being a goalkeeper is highly stressful: A single error can cost his team the game. Due to the high level of concentration he has to maintain during games, he finds himself completely exhausted, even if he hasn’t moved around much.